OmniVision is the name behind the amazing camera on the iPhone 4 and this announcement of the company's 12.6-megapixel camera phone sensor capable of delivering 60fps 1080p video might have you checking your calendar in anticipation. While recent rumors suggested that Apple might switch to Sony for the camera on the upcoming iPhone 5, we haven't heard a confirmation. So if the new iPhone packs an OmniVision camera, this could be a match made in heaven as the caliber of this one here is exceptional – it's a raw CMOS image sensor tailor-made for mobile use. The new OV12825 sensor comes with electronic image stabilization and backside illumination architecture. In addition, you get a better low-light sensitivity and fast performance. Stills can be captured with a resolution of up to 4224x3000 and a speed of 15fps. Any chance for this appearing in the iPhone 5? Not as low as you might think – the sensor is ready for testing and mass production could start this spring. With rumors of a later release of the next-gen iPhone, could we see Apple change everything again? Sound off in the comments below! Say what?! 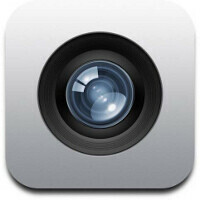 If this camera comes to the iPhone 5 the other camera phone with full HD will die. But I don't think so :( might be an 8 m pixel with 1080p with 30 fps. Yeah I doubt that Apple with make such a big jump. They seem to only want to give customers just enough to make do. I agree. Apple will do an incremental step this time out. Come iPhone 6, this sensor with some other "tricks" will be in place. I believe Apple is going down the pathway of making your i***** device a replacement for a Point & Shoot camera, since you take it everywhere. I would like to see some additional enhancements such as: Live Histogram, EV adjustments, F-stop control and such. Include this with a 12 MP backlit CMOS sensor, you will be light-years ahead of the other manufacturers. I don't know...the iPhone 4's antenna problem, although minor, was their first big misstep when it came to the iPhone. And technology only accelerates. I think in order for Apple to combat the stigma of the iPhone 4 and to compete with Android with one phone for an entire year, they have to make a step like this. I mean, who would have thought Retina Display would be on the iPhone 4? And in a year, there isn't a resolution higher than that. Apple has to have another big step or they will get walked on in only a few months. If I'm not mistaken Sony is making the next IPhone camera but then again information ain't what it use to be. Would be AWESOME!!! Finally Apple would lead in the camera department. But, I agree with you that this is unlikely. Raising the bar of graphics in A5 chip on iPad 2 was an awesome decision. If things work out, this sensor in iPhone 5 can do for mobile photography what high graphics is doing for mobile gaming on iPad 2. Flip died and now it is the time for point and shoot. if this happened, it would be awesome.. even though i dont like apple, it would force sammy/htc/ect to add even bigger cameras to their phones to "one up" apple... or at least use the same so apple cant claim dominance on cameras. would it? HELL NO. Apple isnt known for making huge leaps. They take careful small steps (and pretend they are huge leaps). More than likely you will find this on one of those phones thats a "camera first" with phone features as a secondary item. There are a couple of android phones like that already. Once Apple goes for this one, Samsung would then release a phone with 13mp, 61fps, 1081p. They always release something that would have higher numbers after the iphone to make them seem look more impressive, lol. Hey that Galaxy S II is really kicking it. ... and the next time that you have to decide between buy an iPhone 5 or two Top phones for the same price!!! Well, tying this in with the Bionix cancellation that said that phone's replacement is to have a 13mpx camera... we know where this camera is headed, and its not Apple. Judging by the quality of pictures and movies only, the iPhone 4 is worth three to four times as much as its rivals, which, very often, outperform the iPhone's camera. Withi THIS sensor installed, I would easily bet my head that this ratio gets doubled. Too bad Apple may signed a contract with Sony already. Who know? May be Samsung will take a look. Whatever ends up in the iPhone it'll probably continue to produce over saturated video and photos. During, if I'm not mistaken 2007 there is a camera battle between the Nokia N73 vs Sony Ericsson K800. All the reviewers said that the Nokia N73 camera is not as good as Sony Ericsson K800 because Nokia produce over saturated colour photo compare to Sony.which produce natural colour. However when it's come to Apple Iphone 4 no reviewers said anything although they produce more saturated photos like Nokia N73 far from natural colour.